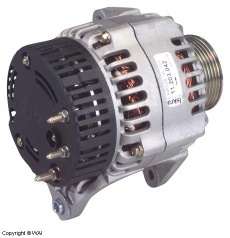 Lucas Type 70 Amp/12 Volt Alternator. Used on Ford, Massey Fergusson, and New Holland Agricultural & Industrial Vehicles. 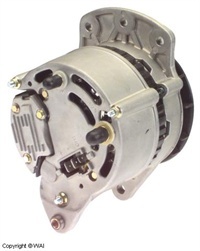 Replaces OE # Ford E7NN-10B376-AA, E7NN-10B376-BB; Lucas 24274, 24274D, 51022337D, 54022337, 54022528. 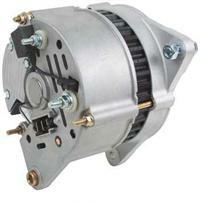 Aftermarket Lucas type M50, M127 series DD starter. Used on Ford Europe applications. Replaces Lester units 30670, 30671, 30672, 30673, 30674. Power rating 2.8kW, operating voltage 12 volt. Clockwise operation with a 13-Tooth Pinion. 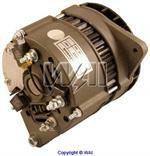 Lucas C40 compatible alternator with generator case. 40A output, 15mm shaft diameter. Without fan.